What are you actually seeing on that new 4K Ultra HD TV? Although many consumers are still getting used to HDTV, a growing number are making the jump to 4K Ultra HD TV. There is a lot of hype about 4K Ultra HD TVs. These sets deliver higher resolution images, but there is more to take into consideration that determines what you can actually see on the screen. This information applies to TVs from a variety of manufacturers including, but not limited to, those made by LG, Samsung, Panasonic, Sony, and Vizio. There are three main factors that affect the ability to see the difference between HD and Ultra HD: Screen Size, Seating Distance, and Content. 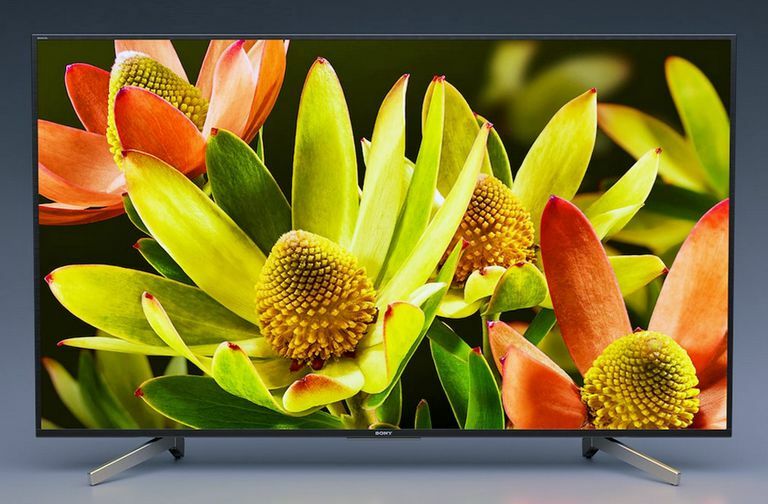 Although many 4K Ultra HD TVs come in 65-inch and below screen sizes, it may be difficult for many consumers to perceive a significant difference between 1080p HD and 4K Ultra HD at those sizes. However, in screen sizes larger than 65-inches, the difference begins to become noticeable. The larger the screen size — the more noticeable the difference. If you have the room and the budget, consider a 4K Ultra HD TV with a screen size 65-inches or larger. Along with screen size, the closer you sit to the TV also makes a difference. For example, if you shelled out money for a 55 or 65-inch 4K Ultra HD TV, you can sit closer to the screen than you may have with a previous HDTV of the same screen size and still get a satisfying viewing experience, as the pixels (the dots that make up the screen) are much smaller. This means that the distance at which a 4K Ultra HD TV's pixel structure becomes visible requires a much closer seating distance than you would find with a 720p or 1080p HDTV. Even if you have a 4K Ultra HD TV, you may not be able to fully take advantage of its higher resolution display capabilities. Just because you have one of these cutting-edge sets, doesn't mean that everything you see on the screen is 4K. As of 2019, there are still no 4K Ultra HD TV broadcasts, although they are on the way (the tuners built into current 4K Ultra HD TVs is a standard ATSC HD tuner). Cable isn't faring much better as there is only spotty service from Comcast. Although content offerings are very limited, 4K via satellite is available from both Direct TV and Dish Network. The 4K Ultra HD Blu-ray Disc format is available, with both players and movies available in disc format. However, that requires the purchase of a new player and discs, but the upside is that those new players can still play your old DVDs and Blu-ray Discs. Sony has distributed a line of 4K mastered Blu-ray Discs that, although they are still 1080p for playback on standard Blu-ray Disc players, there are some added cues embedded in the discs that allow Sony 4K Ultra HD TVs to extract more detail and color clarity for display on their 4K Ultra HD TVs. Netflix, Vudu, and Amazon all offer 4K streaming. These services are available on a growing number of media streamers from Roku, Amazon (Fire TV), Apple TV, Google Chromecast, as well as select 4K Ultra HD Smart TVs that incorporate HEVC codec decoders. An internet broadband speed of 15 to 25mbps is required for a smooth delivery. Native 4K Ultra HD bodes well for the future as content and compatible devices continue to roll out. However, where does that leave many 4K Ultra HD TV owners if they can't take advantage of the 4K content that is available? The answer is Upscaling. All 4K Ultra HD TVs currently available can upscale standard and HD resolution content to match as closely as possible to 4K. Many Blu-ray Disc players and Home Theater receivers also incorporate 4K upscaling. Ultra HD Blu-ray Disc players can also upscale DVDs and Blu-ray discs to better match the display capabilities of Ultra HD TVs. Although not as accurate as true 4K, depending on the quality of the content, results via upscaling can look better than what you see on a 1080p TV (taking the screen size and seating distance factors noted previously). However, VHS, standard resolution broadcast, cable, or satellite, and standard DVD won't look that great on a large screen 4K Ultra HD TV, but a good HD broadcast, cable, satellite, or Blu-ray disc can look great. 4K is here to stay (However, 8K is on the way!). If you haven't shopped for a TV in a while, you will notice that the majority of TVs on store shelves are 4K models. Most of these sets are also Smart TVs and many provide advanced features, such as HDR, which takes advantage of special brightness encoding on Ultra HD Blu-ray Discs and select streaming content. If you are interested in jumping into 4K, check out our periodically updated list of 4K Ultra HD TVs.